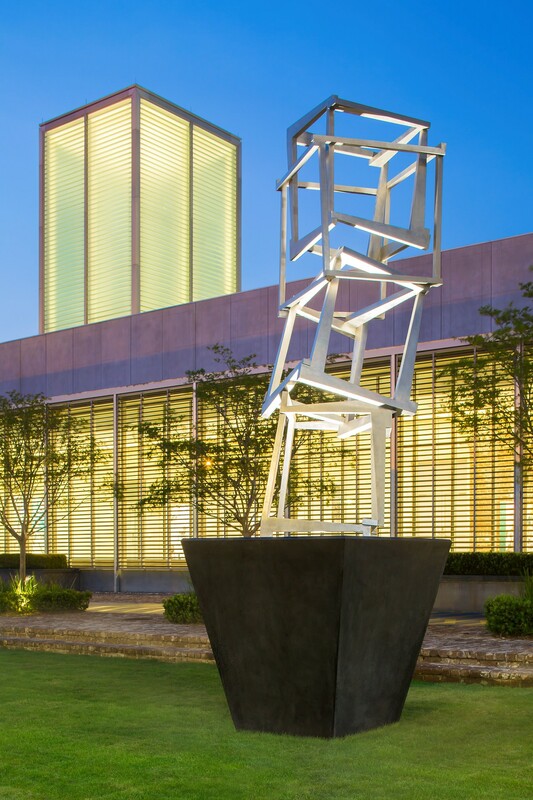 "Chaos Concepción", a new sculpture by artist Jedd Novatt, was unveiled by SCAD president and founder Paula Wallace at the SCAD Museum of Art's Alex Townsend Memorial Courtyard. "'Chaos Concepción' arises to lift the eyes and aspirations of all who study and visit here," President Wallace declared. "Jedd Novatt's work conquers gravity, expressing the soul unbound in an eternal echo of hope."